Home Fat loss How to remove belly fat in 2 weeks. How to remove belly fat in 2 weeks. Here are the most important 5 exercises to do every day and get the results. 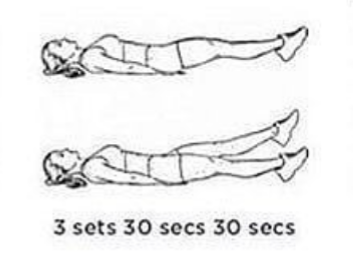 Crunches is very common and easy exercise to do you just have to lay down straight and bend your legs place your hand behind your neck and push up and do it see in the picture below. This exercise is same as exercise number 1 you just have to lay down straight and move your legs such that you are cycling. You just need to do 3 set of cross crunches and 30 secount each or 15 to 20 reps of each set. Third exercise you need to do is flutter kicks just lay down and raise your alternating leg just like that. You need to do 3 set.each set must have 15 to 20 reps after that jump to the next exercise. The last exercise you have to do is double side jackknife it is little bit difficult for beginners see in the picture. 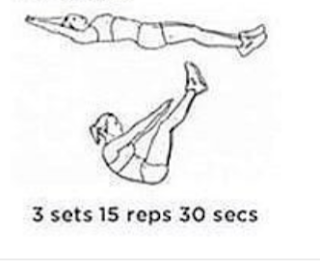 You need to do 3 sets of 15 to 20 reps.
After doing these exercises take a rest and relax your body the muscles will grow fast when it is in rest.